So, let's say you have already installed WordPress/ WooCommerce, there's only one step before your e-Commerce Referral campaign is up and running. From your WordPress admin panel, go to Plugins → Add New. 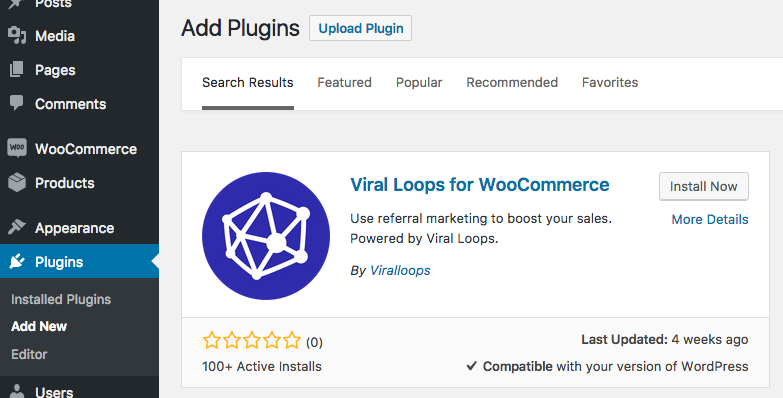 Find the Viral Loops for WooCommerce plugin and install it. Alternatively, click this link to download it. Save the settings and now the e-Commerce widget is live in your e-Commerce store!